As a chiropractor, I focus on helping your nervous system function at its highest level. I do this by correcting subluxations, or the misalignments of the vertebrae in your spine, through gentle adjustment techniques. Adjustments take pressure off the nerves exiting your spinal cord and allow your brain to send information out to your whole body without any interference. Different techniques that I utilize are: Diversified, Activator, Thompson, Logan basic, Webster, and kinesiotaping. 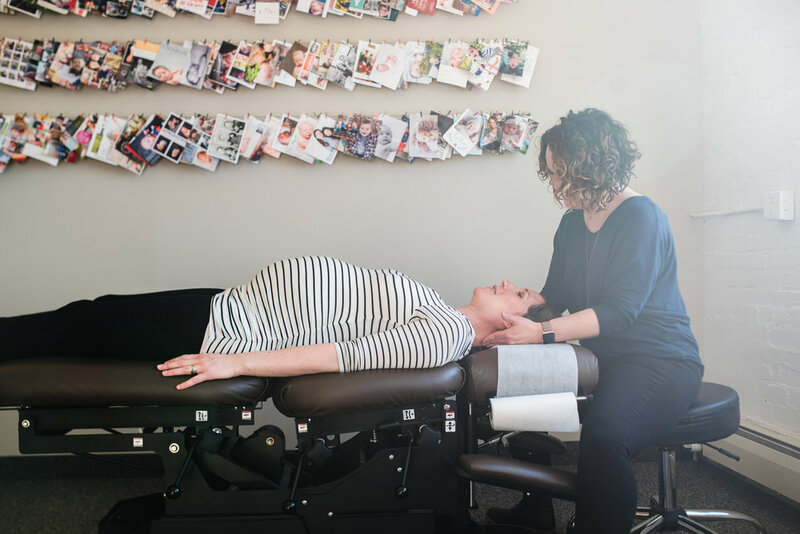 Although I specialize in prenatal, postnatal, and infant care, I treat patients of all ages with the end goal of helping your body function at its best. For payment, I accept cash, check, credit card and HSA/FHA payments. You will be provided a detailed receipt to submit to insurance if you so incline. To schedule a chiropractic visit, click here.